Company Profile - Global TaNK Co., Ltd. Global TaNk provides effective, reliable, and affordable ICT solutions with a competitive edge, designed to support significant business growth for our customers. Specializing in corporate telecom services since 1993, we have always been committed not only to saving clients money but also offering original, highly value-added services. 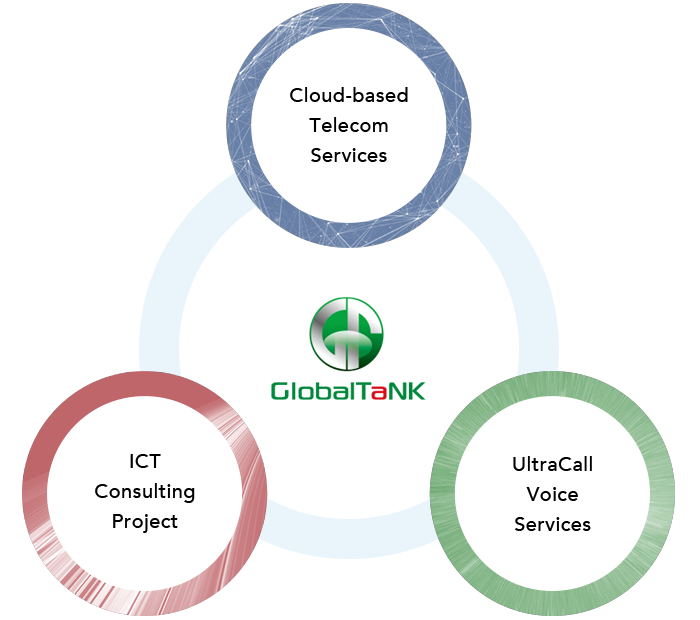 Global TaNK aims to provide a next generation telecom infrastructure to help clients strengthen their businesses. Global TaNK Co., Ltd. was founded as a sole agent of marketing U.S. Telegroup, Inc.